Roland Juno-106 – “Beyond Effective Range” Vocal – Retro 80’s Groove. Had a lot of fun working with the AKai S3000XL this evening. I used Propellerhead’s Recycle to slice up a vocal phrase and send it directly via SCSI to the S3000XL. I have an old Windows 98 computer that that is connected to the AKAI S3000XL which is also connected to an MO drive. The Roland Fantom XF is controlling the S3000XL which I’m playing on the lower part of they keyboard. Everything in the video is improvised including the sequenced parts and drums which were put together this evening. Drums were loop recorded with the Boss RC-300 Loop Station. Today I picked up a great little sampler called the Akai S612. I actually had seen this sampler tucked away at a nearby used music store about a month ago but didn’t think much of it. I took a snapshot with my iPhone and later did a bit of research. My initial findings were that the Sampler wasn’t worth the effort. It had 1 to 8 seconds of sample memory depending on the sampling frequency. You also couldn’t save any samples unless you had the MD280 quick disk drive addon. As I searched for more info though, the tone seemed to change among the Sampler gurus that the S612 was in fact a rather hidden gem. In fact many said if you saw one to grab it quickly, so that I did…laugh. I ran down to the store and bought it from the guy who actually thought I was nuts. He said it didn’t work. He stuck his guitar cord into the line out jack and connected the input jack to the amp. He again said it didn’t work. I chuckled to myself and said not to worry. After working with the Sampler this evening I found out some rather interesting things about it. First I seem to have OS version 1.0 inside the box. This is potentially a problem because I can send wav samples to the S612 using Sample Wrench or the Atari based S612 editor using Steam. However, in all cases I couldn’t receive a sample dump via midi. The end result was a frozen connection. My thinking is that it’s possible OS v1.0 of the S612 is not working properly for sample dumps. The good news is that I can definitely send samples to the Akai S612 via midi and it takes just 50 seconds to do so. I know all the young sample musicians out there with the latest sampler gear will likely call that insanely long, but honestly that’s pretty quick and stable to get a sample into the machine. Due to the possible OS v1.0 glitch, I won’t be able to save sounds I sample just yet. I’ll need to find an OS Eprom update OR acquire an MD280 quick disk module. For a single sample machine, the time it takes to get a sample in there and ready to go is pretty good. For live performance, I think the Akai S612 is going to be fantastic. I can easily load samples into the S612 using my Macbook Air running Windows 7 Bootcamp and Sample Wrench. As I mentioned it takes less than a minute to transfer a sample. I can then play the sample using a controller keyboard and tweak the LFO, Time, Decay, and Filter with the S612 knobs. I can also adjust the beginning and end points of the sample with the on board sliders. The results are awesome and it’s really a lot of fun to teak in real time. I also found that in Sample Wrench I can reduce the Sample Rate which effectively lengthens the sample when transferred to the S612. It’s particularly effective when using dialog or vocal phrases. You can then use the loop sliders to isolate the words in the phrase. Pretty cool! Among other things you can overdub after your initial sample recording. You can adjust the sample rate that you sample from Sampling 4 kHz to 8 kHz to 16 kHz and finally to 32 kHz. Sampling time is 1 second at 32 kHz on up to 8 seconds when sampling at the lowly 4 kHz frequency. I have found 8 kHz to be quite good, especially when transferring samples from Sample Wrench to the S612. 4 kHz is not bad but it’s definitely got that Lo-Fi sound. It’s going to take some experimenting to determine which samples work best at what rates, but for now 8 kHz is best for balancing quality and sample time. 8 kHz would give you about 4 seconds of sampling time. In a live song where you stutter, glitch, or adjust the tempo of the sample it works very well. Basically I view the Akai S612 as a single instrument sampler or synthesizer. It’s absolutely not a workstation nor is it a multi-sample instrument like the later Akai models. Rather it’s a single “Oscillator” kind of sampler where it’s best to find that one great sample and incorporate that into your song as if it’s a regular instrument in the mix. That’s pretty much how I plan to use it and I think for that sort of thing, it is a very unique piece of “hands on” sampling gear. It’s pretty neat what the Akai S612 can do and I feel if one thinks outside the box a little, it can even have more interesting uses. The analog filter inside could also be used to warm up a sound as well. More and more I’m finding these ancient samplers to be very useful for creating additional INSTRUMENTS in the mix. 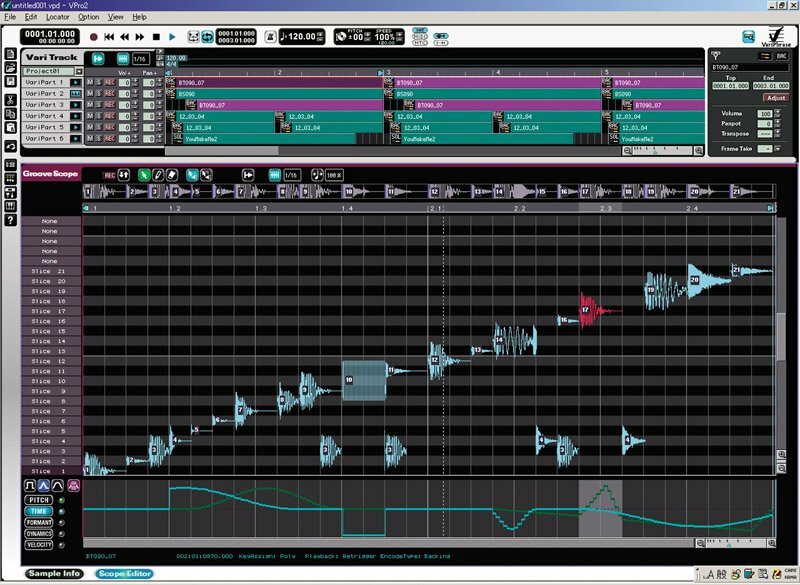 If you’re into looping, I think the modern day sampler offerings are still probably the best choice, including software. I haven’t found any decent Akai S612 videos on Youtube that are what I call musical, but I did find this one that was pretty good in showing some of the features. Enjoy! Last weekend I picked up a used Roland Varios Open System Module from a used music store way out in the countryside in Nagano-city, Japan. I bought it for $180 which included the Roland VC-1 D-50 expansion card. 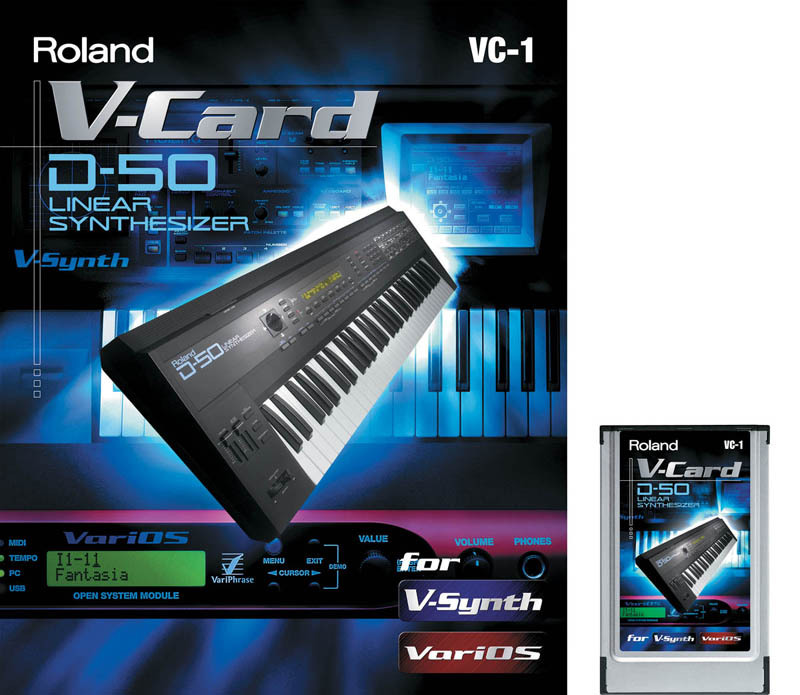 I already have the Roland V-Synth 2.0 along with the VC-2 Vocal Designer Card, so I was pretty excited about scoring a mint condition Roland Varios. I have heard that the Varios is no longer supported by Roland and it’s not as popular as the V-Synth, but I was eager to get it due to the VC-1 card being included. Inside the Roland Varios can house 20MB worth of samples that you can import either via USB or PC Card Slot. This might not seem like much space for samples, but actually I found it to be plenty when creating instruments. There is a rather nice Sampling Editor which installed and loaded just fine under Windows 7. If you use Mac OSX, I believe you’ll run into driver troubles. I’ve tested quite a bit with Windows 7 and thus far have experienced zero issues, so I basically use my Windows 7 desktop or a Macbook pro running Bootcamp. Both work great. You can also slice the samples and sequence them or arrange them differently on a time line. It works rather well and found that you could really come up with some interesting results from mangling your samples. You can vary the speed at different times or pitch. You can also copy segments and repeat them to create excellent stutter or glitch results. It’s really quite powerful and fun to experiment with. It has the Varisynth technology aboard which is the same as the VP-9000 and what you find on the V-Synth. If correct, the Varios is the same as the V-Synth 1 version. In addition, you get a full blown synth inside called the Roland VariOS-8 which apparently is an emulation of the Roland Jupiter 8. In all actuality this is totally false and probably shouldn’t be advertised as such. However, the synth is very powerful and quite frankly worth the price of a used Roland Varios alone. 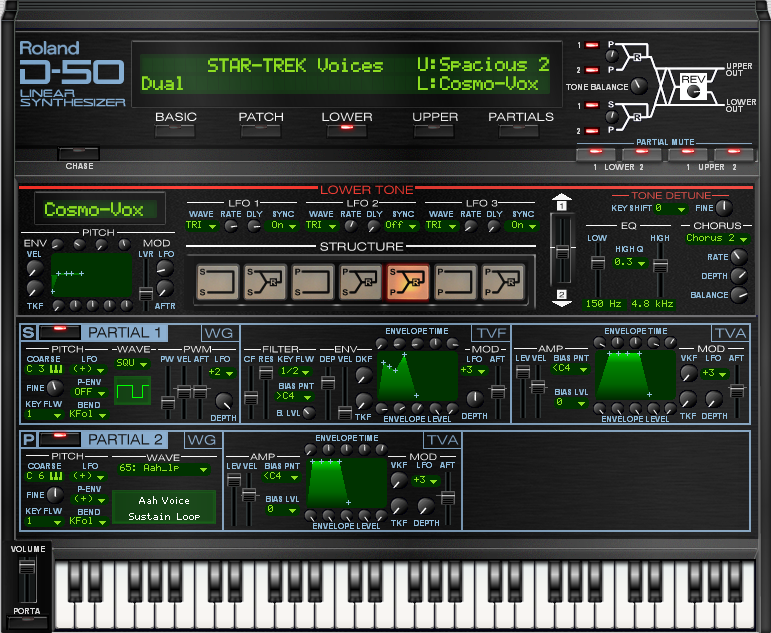 Yes, you have to boot into the Varios-8, but you do get a nice editor and the sounds are only 30 patches in total. However, you can of course create your own and hold up to 128 sounds. The Varios-8 synth simply rocks and it really sounds great for an Analog emulation. I HIGHLY recommend it. You also get an emulation of the Roland TB-303, but I honestly haven’t tested this feature yet. If it’s anything like the Jupiter 8 / Varios-8 emulation then it’s NOT a TB-303 rather just another synth that should be treated on it’s own merits and not a TB-303 emulation. I’ll add some additional comments once I get a chance to play around with it. Like the Varios-8 you get a rather nice software editor to tweak and create patches with. The Roland D-50 VC-1 card is a HUGE score with finding this particular Roland Varios in Japan. 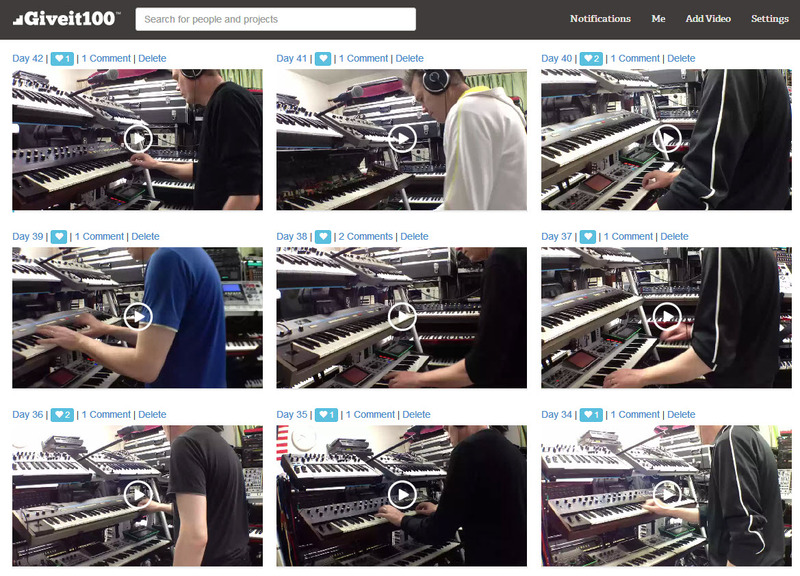 It can also be used with the Roland V-Synth 2.0 and it simply sounds fantastic. I already have a couple of D-50 synths and the D-550. I can honestly say it’s the real deal. What I like best is that it contains all of the Roland released preset cards on it plus several additional banks for your own patches. You can import or export D-50 patches and swap them with your original D-50 with ease. It’s simply a fantastic card although I would never spend $500 on Ebay for one. Be patient and they will turn up for around $200 which is much more reasonable. Yes, you can buy an original D-550, but I like the extra patch banks with the VC-1. Plus a PC card is much smaller than a D-550 and much more reliable. Along with the Roland VC-1 card there is the Uniquest VC-1 Editor which is pretty cool. This is very hard to find supposedly. It uses the Soundquest MidiQuest technology for the editor and is supposedly custom made for the VC-1 card. It works well and covers pretty much all of the parameters on the VC-1 D-50 card. All in all, the Roland Varios was an excellent find. 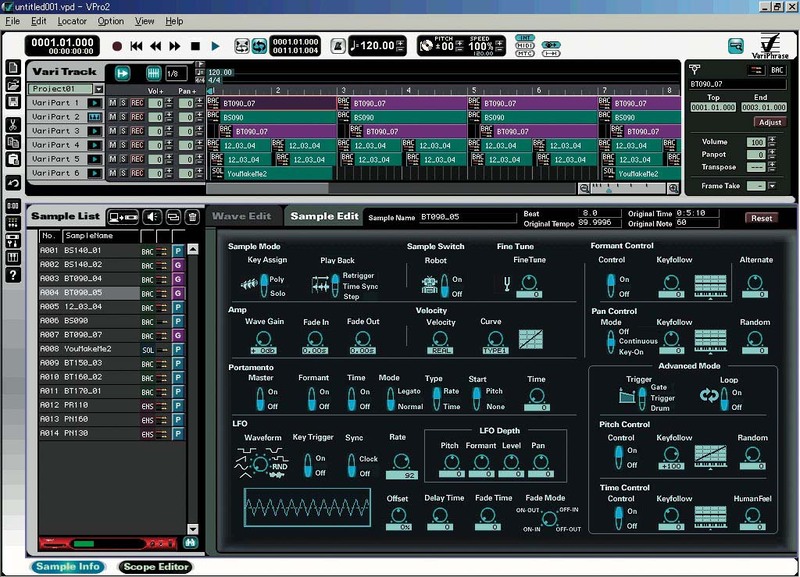 Once you get it loaded and set, you can easily disconnect it from the computer and use it in your live rig. I have a Roland A-800 Pro connected to it and have created a preset that works great for the Varios. There’s just so much you can do with the Roland Varios. With how cheap they are going for I highly recommend grabbing one if you can. Enjoy! Last week I bought an Akai S900 along with an Akai S3000XL for $50 bucks at the second hand music shop in Nagano, Japan. I didn’t need the S3000XL as I already had one, but since it came with the S900 I thought I might find some use for it. Sometimes if I find a double, I put one in a rack next to my office computer and run the other in my studio room. That way I can just shuttle a floppy disk back and forth, rather than moving the entire deck. 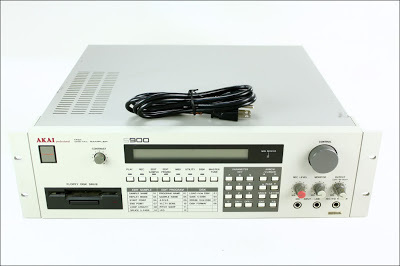 The Akai S900 is new to me and although I’ve heard great things about the S950 version, I thought the S900 might be fun to use with some waveform samples that I have from synths like the Waldorf PPG, Fairlight, and Synclavier. The S900 did not come with a system disk, but I did find out that it had the 1.2 OS chip inside. I have an old windows 98 laptop that I use for creating OS disks and found it relatively easy to find the OS 4.0 disk image on the web. The main problem was getting Teledisk to play nice and copy the image to a 720KB DD disk. I found that only Teledisk v2.16 worked. So after wasting an hour with 2.11 and 2.12, I found a 2.16 version and all copied well. The S900 loaded up the V4.0 just fine. I also used Akaidisk v2.2 in order to transfer the waveform files over to a floppy disk formatted by the S900. It all worked flawlessly. I then loaded up the floppy and with using the Roland A-800 Pro as a controller, I had fun playing some nice PPG 2 sounds on it. I was able to squeeze about 28 sounds onto the floppy which all sounded fantastic. I now have to find a fix for the LCD screen as it’s rather hard to see. Or I might try to find an editor to work with the sampler if possible. I haven’t found out if MESA works with the S900 yet. I know in Japan you can buy an LCD so that shouldn’t be too much of a problem. The Akai S3000XL also works great and whoever brought these samplers in probably used both of them together. Unfortunately neither came with any effects on board, but that’s ok as I usually use external effects. I strongly recommend thought having a good working Windows 98 machine around for use with the old Akai samplers. Yes, you can use Windows XP, but I have found Windows 98 to be much more useful in my experience thus far, especially when working with floppy disk transfers and conversions. Teledisk for example only works when rebooted in DOS mode, so win98 seems to be the only machine to do that. In any event, the 1986 Akai S900 has been a nice addition to the studio. I’ve hit Day 42 now on the site Give It 100. It’s pretty amazing at how fast the time goes by and soon enough you have all of these videos up and running. The Give It 100 project has helped enormously with getting me up and running and working with material I like to play each day. Interestingly enough it’s been a fantastic experience and I’ve enjoyed each and every moment of doing my best to accomplish something in synth programming. If you need some inspiration or a place to start, I can highly recommend Give It 100. Enjoy! 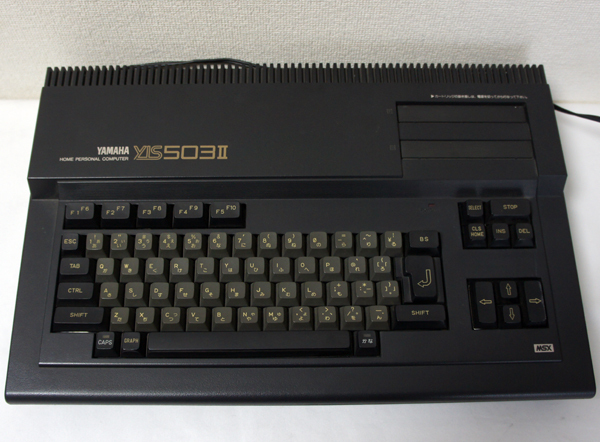 Recently I acquired a used MSX Yamaha YIS503II Home Personal Computer with several cartridges and a YK-20 keyboard. I posted an earlier article about the find. One thing that was missing with the package was the Yamaha DX7 MSX Editor, specifically the YRM-103 DX7 Voicing Program. My system also did not come with the MSX Floppy Drive system, however it did have the ability to transfer data using cassette tape. I did some research and discovered that it was possible to acquire the Yamaha cartridges in ROM format. I then found out it was possible to convert those ROM files to WAV format using a program called MicroWaver. I also used another that worked called Caslink2, however MicroWaver was the only program I could successfully convert to a higher bps rate that actually worked. A higher bps rate means a faster rate of transfer. In the video you’ll see that on my MacBook Air I have a YRM-103 DX7 WAV file opened in Audacity. On my MSX computer I typed the command BLOAD”CAS:”,R and hit enter. I then played back the WAV file. You’ll notice that the MSX responds with LOADING and after about 15 seconds it loads up the YRM-103 DX7 Voicing Program beautifully. My MSX YAMAHA YIS50II has both the SFG-05 FM Sound Synthesizer Unit II module installed which includes both audio and MIDI in/out ports. I successfully was able to connect my Yamaha DX-7 and both edit and transfer data. Cool! I now have one last potentially major problem to solve. I desperately want to use the DMS1 Mk2 MIDI Recorder for SFG-05 and do have the ROM file for it. However, when I convert it to WAV format it will get recognized and transfer appropriately with my setup, BUT my MSX then reboots at the end of the process. This reboot effectively clears the RAM memory and leaves me with an OK prompt. There is no start command for the DMS1 mk2 program so something either in the original ROM file or something I’m doing incorrect is causing it to not load. I’ve doing a couple of days of intensive testing and research and have come to the following conclusion. The ROM files were intended for Emulator use primarily and not for the use of REAL MSX machines. What I’m doing is out of the ordinary and perhaps not possible. 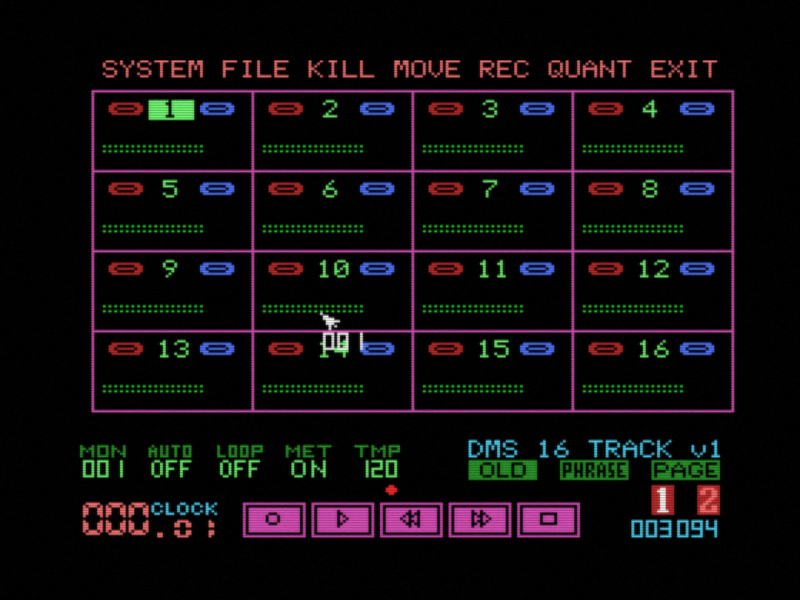 I would love to have the DMS1 mk2 sequencer program working to create some of those old school 80’s tracks. I’m just not sure why the MSX is rebooting on it’s own. I used the blueMSX Emulator and the DMS1 ROM file worked great. I also noticed that ROM files that contain a “Part 1” and “Part 2”, which is what I presume are two disks, don’t transfer well if at all via WAV format. The MSX Computer recognizes both parts, will load them, however the MSX computer YIS503II will ALWAYS reset or reboot after transfer completion. Again this results in memory being cleared and thus the program is gone. There is something about transferring multiple disks or parts that does not work via the PC WAV method so far. If I have a file with only one disk or part, it works great as with the YRM-103 DX7 ROM file above. It’s only one part and thus loads fine. If I can get the DMS1 to load than I would be set being able to work with the built in 4-OP SFG-05 and the Yamaha DX-7. That would be pretty cool and quite retro considering all of this is 1983-1986 stuff. I’ll update this article in the comments section as I do more testing and discover more info.